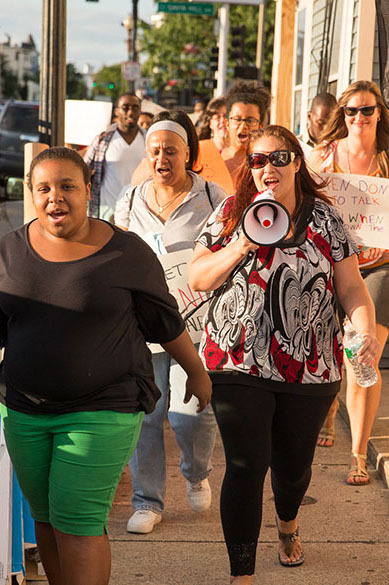 In 1998, a group of Dorchester residents came together to address the complex issue of domestic and sexual violence where they happen – in our communities. These residents reached out to their neighborhoods by knocking on doors and speaking at civic meetings across Dorchester. The message was simple, but the request challenging: work with us to change the social norms in our community that allow D/SV to continue. Stop relying only on police, courts and social service interventions, and instead work with us to develop a community-driven response. Reach out to your family, friends and neighbors about domestic and sexual violence. The community’s motivation to address the issues of domestic and sexual violence in Dorchester was undeniable. In the years that followed, community residents have lead presentations at local civic meetings, reached several thousand residents at community meetings and events, and hosted neighborhood “kitchen-table” discussion groups. The responses to these outreach efforts have been overwhelming. Concerned family members and friends call for assistance in learning how to help a loved one experiencing D/S. Residents offer to volunteer and come forward with ideas about steps they can take to raise awareness on their block, including writing community impact statements, working with landlords whose tenants were experiencing domestic violence, and more. C2H incorporated as a non-profit organization in February 2002. Since that time, our neighborhood and youth organizing programs have engaged over 200 adult and youth neighborhood leaders and 75 community organizations to organize small group discussions, large community meetings and social events, touching the lives of more than 14,000 community members. Read more about our local organizing here. Throughout our early years, we consistently received requests for training and information about our approach. In 2008, we developed a plan to develop partnerships and share our organizing approach with domestic and sexual violence organizations in Massachusetts with support from the MA Department of Public Health, Jane’s Trust and the Robert Wood Johnson Foundation. We were also chosen by the Violence Prevention Unit at the California Department of Public Health to share our youth organizing process with two communities in California through the Domestic Violence Primary Prevention Training and Technical Assistance Project. A community in Hamburg Germany is also implementing our local organizing model. Reach more about our train and support work here. In 2010, Close to Home was honored to be chosen as part of the pilot cohort of Move to End Violence, a program of the NoVo Foundation. (add a few sentences) Read more about our movement building work here. We have been recognized as a local and national leader by Ashoka Innovators for the Public, the Family Violence Prevention Fund, and Boston’s Social Innovation Forum. In addition, we have been invited to sit on both the Governor’s Council to Address Sexual Assault and Domestic Violence and the Massachusetts State Prevention Team, established as part of the Centers for Disease Control’s EMPOWER project. Our 2007 Campaign aimed to get people talking about domestic violence. Our 2008 Campaign created a community youth journal showcasing writing and issues of domestic violence. 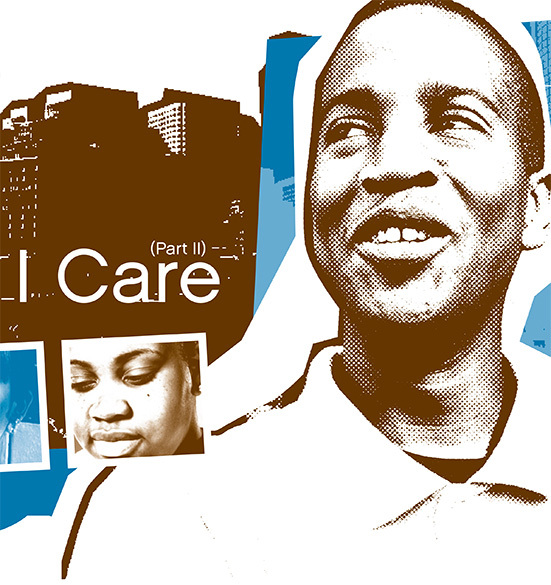 Our 2012 Campaign had a lofty goal: get to know your neighbor.